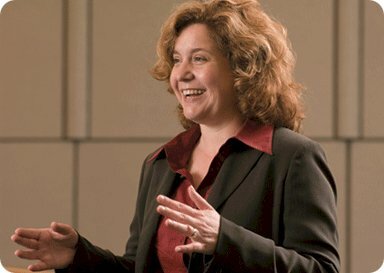 Janice Eberly is the John L. and Helen Kellogg Professor of Finance and former Chair of the Finance Department. Before joining the Kellogg faculty, she was a faculty member in Finance at the Wharton School of the University of Pennsylvania. Professor Eberly's research focuses on finance and macroeconomics, where she studies the investment decisions of firms as well as households’ financial and consumption choices. Her research has been funded by the National Science Foundation, the CME Trust, and the Sloan Foundation, including a Sloan Foundation Research Fellowship. She has served as an editor of major academic journals, including the American Economic Review and the Journal of Monetary Economics, and was elected to the Executive Committee of the American Economic Association. From 2011 through 2013 she served as the Assistant Secretary for Economic Policy and Chief Economist at the U.S. Treasury Department, after being confirmed by the U.S. Senate. Previously, she had served on the advisory panels to the US Bureau of Economic Analysis (BEA) and the Congressional Budget Office (CBO). Professor Eberly was elected a fellow of the American Academy of Arts and Sciences in 2013. She received her Ph.D. in Economics from MIT.